G&L’s Fullerton, California premises is not only steeped in history (this was where Leo Fender clocked in to work every day), it is also the nerve centre of a company dedicated to handmaking top-end, American-made guitars. These instruments take timeless, classic reference points and tweak them for the performance needs of today’s guitarists. 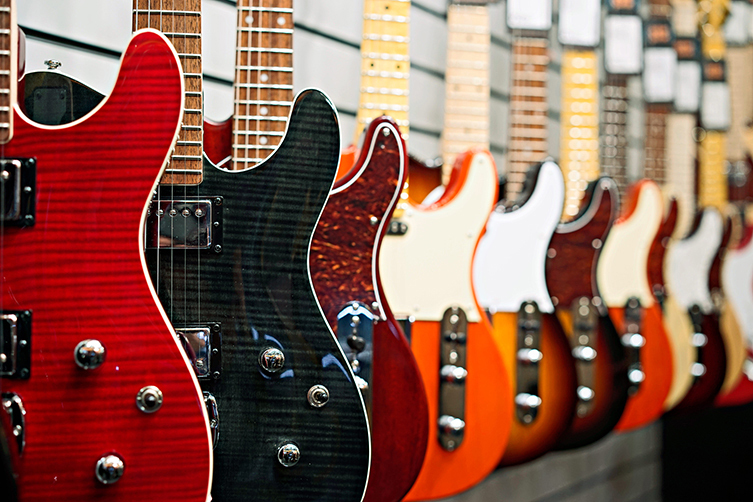 Over the last few months, we’ve been taking delivery of lots of G&L guitars and basses. From the fantastic value Tribute series, which are made in the Far East to G&L’s designs, to the American ‘Made in Fullerton’ range of Standards and Deluxes, we’ve had an amazing range of models pass through our stores and into the hands of eager players. We’ve even started getting some incredible Custom Shop pieces, with quality to rival any other top-end small builder in the world. That isn’t all though! 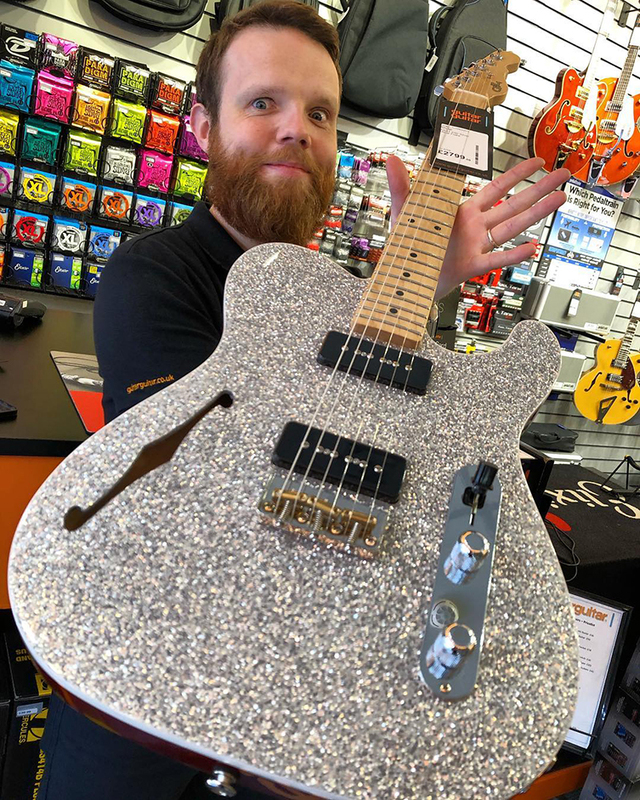 We have also been able to take advantage of a great opportunity to order special USA-made G&L guitars with specs and finishes chosen out by us! These guitars are not available anywhere else on the planet! Our team have carefully picked out details, colours, hardware and parts to make guitar and bass models that really make a statement. Some have metallic paint, others have matching headstock finishing, others still have upgraded stainless steel frets...the variety of options available to us was wide and so we’ve really gone to town putting these designs together! We hope you love these rare, limited run G&L’s as much as we do. Considering their build quality, provenance and exclusivity, they are available for an absolute steal! This is something we will be doing on and off, and each tiny run of guitars will be different. All of them are guitars we love and think you’ll love too! For now, let’s check out one of two that have arrived from sunny Fullerton, California. The first one we’d like to pay closer attention to is this gorgeous offset guitar. Called the Doheny, this surf-inspired axe is right on the money in terms of current tastes. Offset guitars have been steadily growing in popularity over the last few years, with guitarists from all walks of music looking for something classic, but maybe less obvious, to play on. As with G&L’s other guitars, the Doheny pays a sizeable debt to Leo Fender’s Golden Age designs, retaining the timeless elements but doing away with out-of-date features. In this particular case, the most notable changes to the source are the streamlining of the circuitry and the replacement of the tremolo. We’re glad about this because these changes make the Doheny that much more usable and ready to perform. We opted for a rather delightfully loud-and-proud Tangerine Metallic finish on both the body and the face of the headstock here. This type of colour has occasionally been seen on offsets, so there is a reference point, and anyway, it packs some serious visual punch! The metallic flakes are applied superbly, and the overall finish has a really artisanal look. To complement this, we decided to not go overboard and chose out a simple white multi-ply pickguard and Parchment coloured plastic parts for a fresh and contrasting vibe. What else did we pick out for this Doheny? Significantly, we went for stainless steel frets. Stainless steel frets are so tough and durable, they almost never dent, wear out or tarnish. We are talking about decades of uncompromised usage here! They feel great, too. It’s a relatively subtle upgrade on the surface of things, but once you get playing, you’ll be super glad they are there! 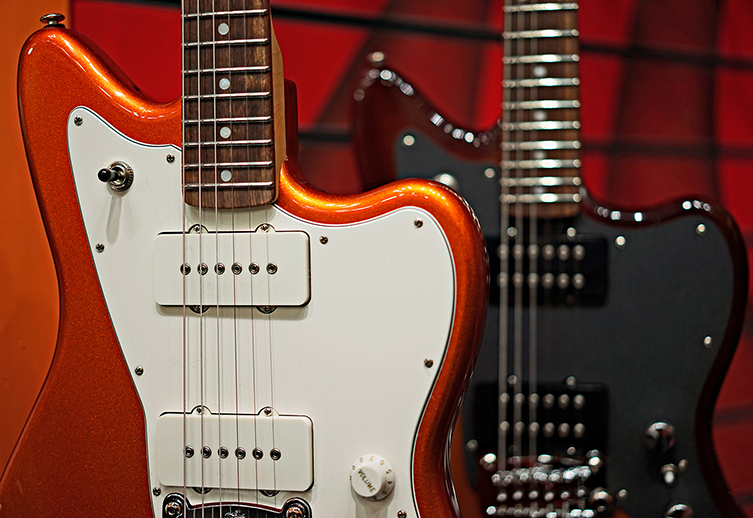 We think stainless steel frets are worth every penny. The neck itself is Hard Rock Maple, carved into G&L’s Modern Classic profile. The fingerboard is Caribbean Rosewood, a premium and beautiful surface for playing on. We went for a 9.5” radius here for a happy medium between vintage & modern styles. The pickups are designed by Leo Fender himself and use his MFD (Magnetic Field Design) concept to offer high signal strength with low background noise. This guitar feels incredible to play, sounds awesome and is just on the right side of ostentatious. It’s beautiful! Check it out here. The other instrument we want to share with you here is a stunning purple SB2 bass! This and the Doheny were spec’d by different people so there is obviously a fondness for metallic finishes here at guitarguitar! Judging by the looks of these two, it’s no bad thing. 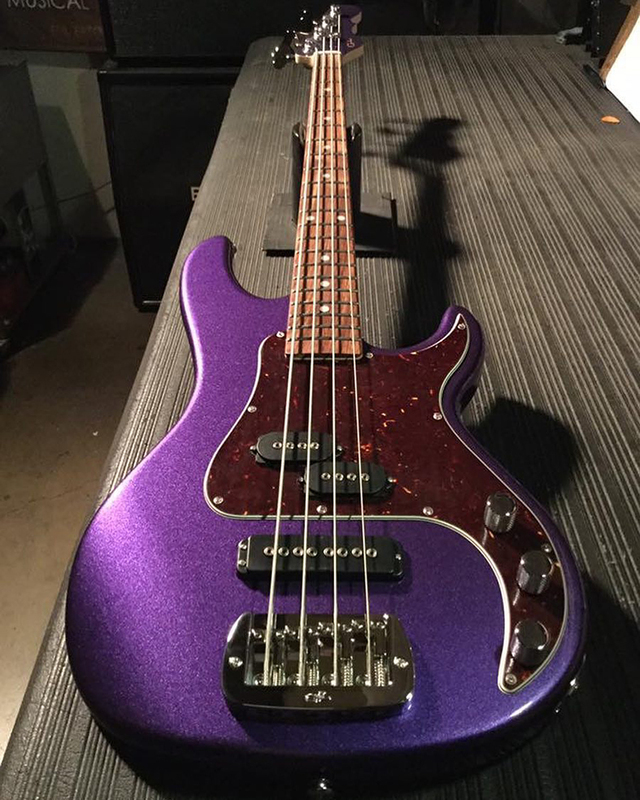 This bass looks like something Prince would have loved: metallic purple on the body and headstock, a tortoise pickguard and a shape that blends function, ergonomics and attitude. This mean 4 string can do Funk, Rock, Jazz and Blues with ease. It feels BRILLIANT to play, full of speed but also rock solid. The Medium C neck we chose turned out to be a great idea, filling the hand confidently without ever being too much for more ‘technique’-based moments. Medium Jumbo frets and a 9.5” radius let you dig in or sit on a light groove, as you see fit! The combination of a bridge single coil pickup and a middle position split-coil (we’d normally call this the ‘PJ’ configuration) allow you the range of all classic bass tones, with no need to compromise. Mix them together or single them out with the individual volume controls. These pickups feature the same MFD principle we described earlier with the Doheny and it works equally well here. Both of these examples and more excellent G&L special instruments are available now! We have Fullerton Standard, Fullerton Deluxe and Tribute models too, all ready for you to view, try out and buy! Visit us today or click through to buy!